Whenever I come by KL Gateway, one best stop (MOST OF THE TIME!) 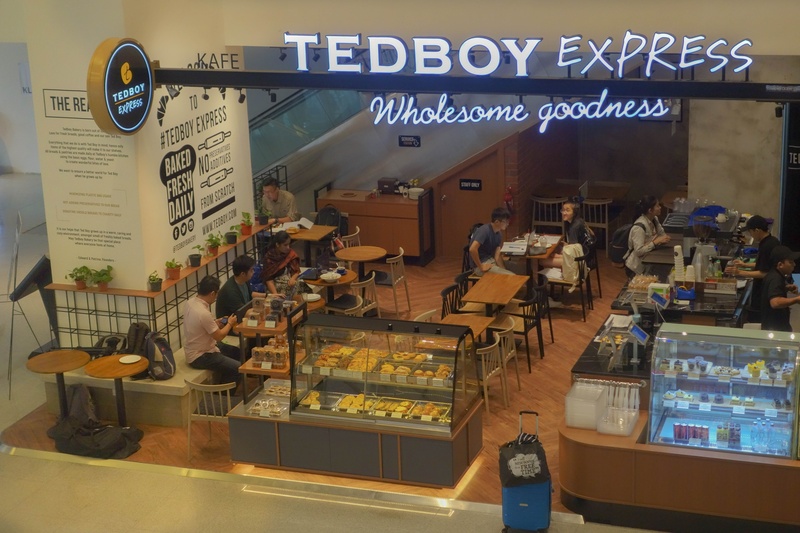 is here - Tedboy Express! The concept of grab and go is just perfect for somebody like me (work and work). We cannot forget out breakfast to stay productive all the day. Therefore, the existence of Tedboy Express is beneficial to me and its neighborhood to be exact. This is due to their servings are all fresh and healthy especially the sandwiches which are highly demanded by the patrons. Located conveniently at Lower Ground floor, it is best and easier for those who pass by to grab their breakfast here and go. Best thing is, you can even dine in here with a cup of hot tea or coffee with your cliques. What else could be the reason for not having enough time to grab your breakfast? As for sandwiches, they have an array list of sandwiches to serve you such as Chicken Pepperoni Focaccia ( which with caramelized onion, balsamic vinegar relish on warm focaccia bread) , The Club Sandwich , Chicken Avocado Sandwich and Tuna Melt Cheese. Best part is, you can save a penny by purchasing its combo deal whereby you can have the sandwich with either Americano/Black Tea or Latte/Cuppuccino at RM5 and RM8 respectively. Besides of sandwiches, there are breads and cookies as well to offer. The peanut cookies are so incredibly tasty. believe me! You can even taste the generous peanuts inside without thinking of what price it is because it is really worth it. I always keep one pack in my bag as snacks in my office or wherever I go. Good news here, everything sold here is affordable to purchase. All servings are all fresh and they keep the freshness by replacing yesterday's breads and sandwiches with the new ones fresh from the oven. Therefore, do not ever hesitate about the freshness and quality of the soft smooth bread and sandwiches here as you may count on them on good servings for everyone.